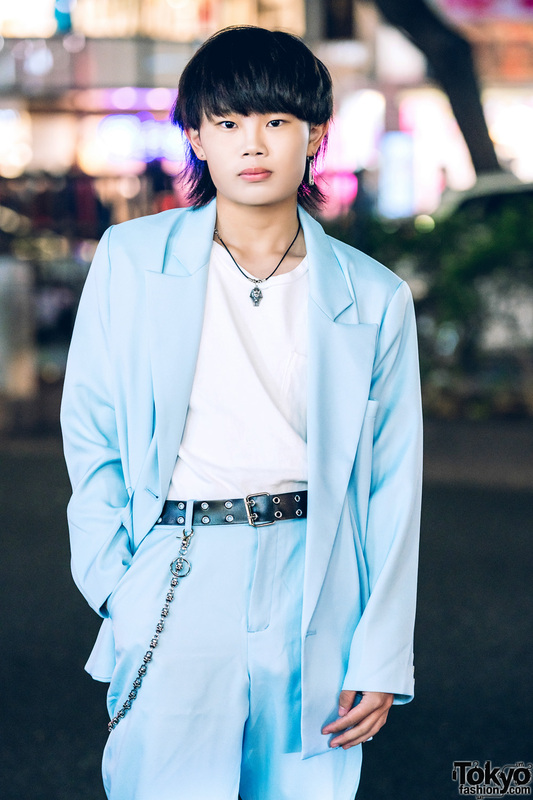 While wandering around Harajuku, we came across 18-year-old student Takumi. 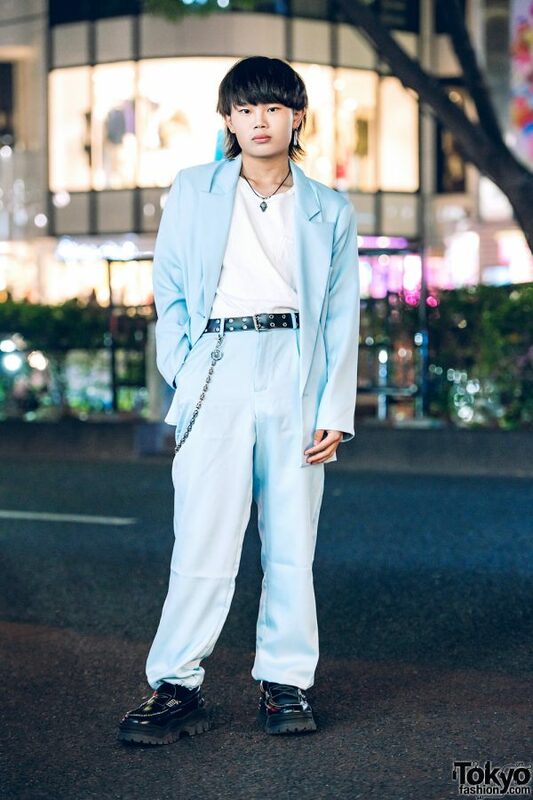 He was clad in a pale blue blazer and matching pale blue pants – both of which are from Faith Tokyo. 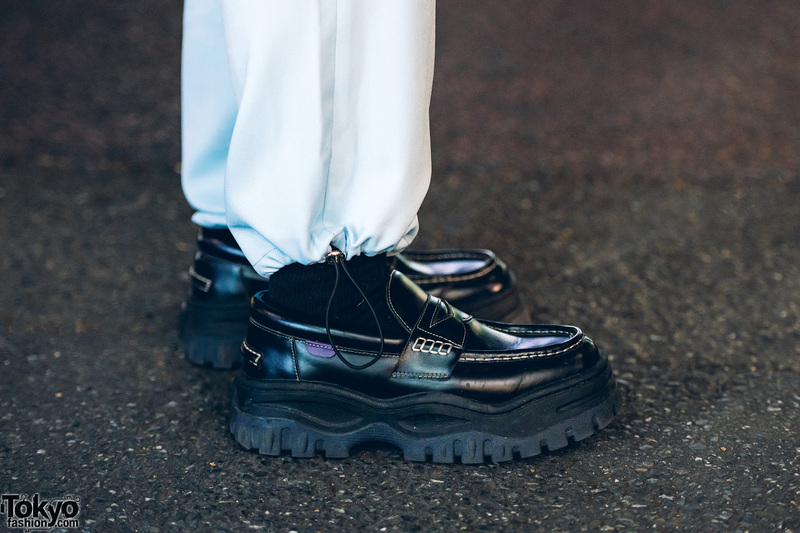 Takumi also wore a vintage white T-shirt, black socks, and black loafers from Eytys. 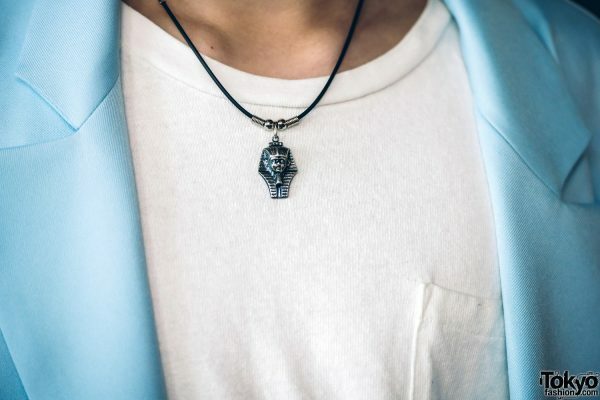 His accessories – some of which are from Oh Pearl – include a silver stud, a dangling earring, a black necklace with a pendant, a black grommet belt, and a silver chain. Takumi loves Swedish footwear brand Eytys.